Come join us for an Interactive Sculpture Spring Camp up at the Genesis Centre during spring break March 25-29. 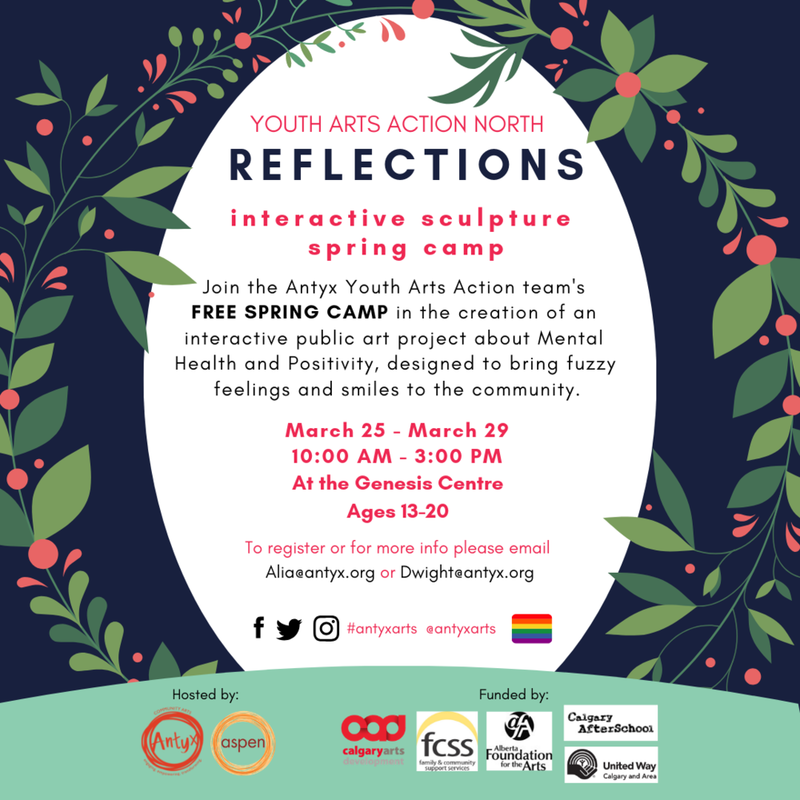 Youth Arts Action North will be tackling issues of Mental Health and Positivity and would like you to come help build the interactive sculpture that will be on display after. This sculpture will be designed to bring warm, fuzzy feelings and smiles to the community. Must plan to attend ALL five days! Hello! My name is Meredith Hundert. I am 19 years old and I am currently a second year Social Work student at Mount Royal University. I have been working and volunteering with children for the last 6 years of my life, and have worked with youth specifically over the past couple of years. After dipping my toes into working with youth I am ready to dive head on into the amazing youth programs that Antyx has to offer. I love to keep myself busy and typically find myself outdoors hiking, inside experimenting with new songs on my guitar in my free time. If you see me around feel free to come introduce yourself and say hi, I am very excited to get to know everyone who is a part of Antyx! If I could live anywhere in the whole world I would probably chose to live on a huge chunk of land in the south of France. A few years ago my family and I stayed in the South of France for a week and the freshness of this region was rejuvenating. Ever since I have always wanted to own a piece of land and live a simple and easy life out there. My all-time favourite family vacation was when I went travelling to Africa for two months with my parents and my two younger sisters. This was less of a vacation and more of a volunteer trip, but either way this was one of the highlights of my life. In Africa, my sisters and I worked with an Orphanage and helped develop programs such as a cooking class, a music club, a library, and a hygiene class in order to prepare youth who were transitioning out of the orphanage with the hope of giving them life skills. My favourite sport to play is field hockey. I played on my High School's field hockey team all through school and really enjoyed the sport as well as the team dynamic! My favourite sport to watch is hockey. I feel as though Hockey provides excitement and it is easy for even me (who isn't into very many sports) to get into the game. My main hobbies include playing guitar, hiking and running, riding my horse, and doing embroidery. These are all things I try to do in whatever free time my busy schedule provides! What do you look forward to most while working with Antyx Community Arts? I am very excited to become more involved in the artistic and fun side of Social Work. I am looking forward to being pushed out of my comfort zone and immersing myself in the programs. 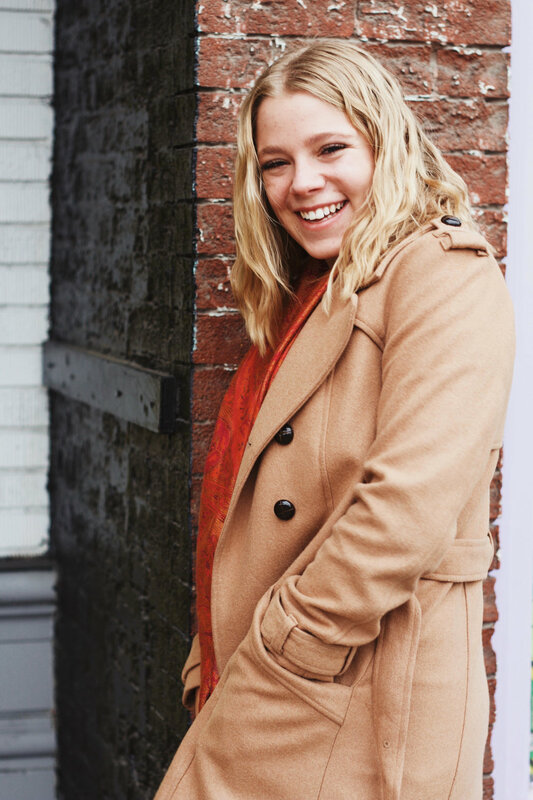 I am more than ready to not only apply skills I have learnt from my past experience into my work with Antyx, but also to learn many new skills related to working with teens and youth. Most of all I am excited to create lasting and meaningful connections with everyone at Antyx and I can't wait to get to know all of you! Hello! I’m Noor Sayadi. I am a youth facilitator, an artist and a freelance commercial videographer, and now I’m Antyx’s new administrator! I graduated from ACAD in 2014, and since then have been working with non-profits, especially within the arts and immigrant sectors. 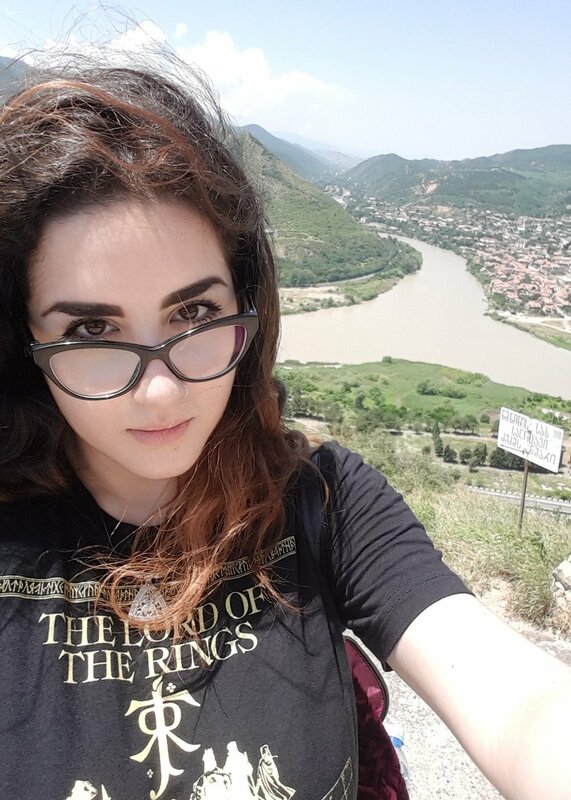 I love traveling and exploring new places, and in my free time, I dance, sing and play Dungeons and Dragons (or video games when there’s time), and will talk ad nauseum about various other nerdy things if prompted. I would love to learn a couple new languages. I already speak Arabic and English, but I’ve been dabbling in Turkish, Japanese and French for a while. If you could have any pet what would it be and why? Realistically, a cat. Ideally, a chimera. Moss green. Moss is good. What’s your favourite memory from childhood? Going to IKEA with my family! To little me, Ikea was like a strange and fantastical cross between a playground, a maze and a huge mansion with far too many chairs. I had a lot of fun running around through all the rooms and looking at how everything was set up. It definitely grew in me a love for interior design… and Swedish meatballs, of course. What do you like most about working with Antyx Community Arts? Seeing our youth’s progress over time and seeing how they develop and grow as artists and people. Seeing them come out of their shells and explore who they are with their art is the most rewarding part of being here. I’ve learned so much from every single youth I’ve worked with and I look forward to seeing them flourish and take on the world! 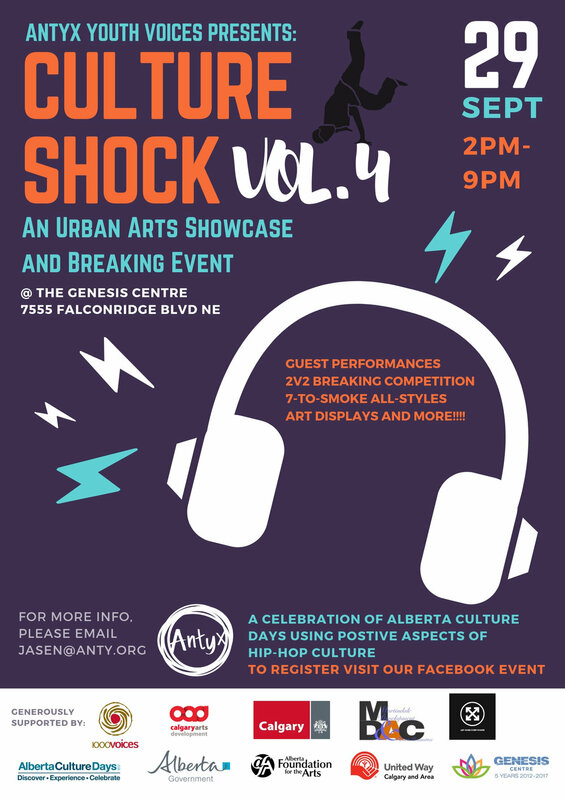 An urban arts showcase and breaking event as part of AB Culture Days. Come celebrate the arts and urban dance with Antyx! Don’t miss out on this event of the year! 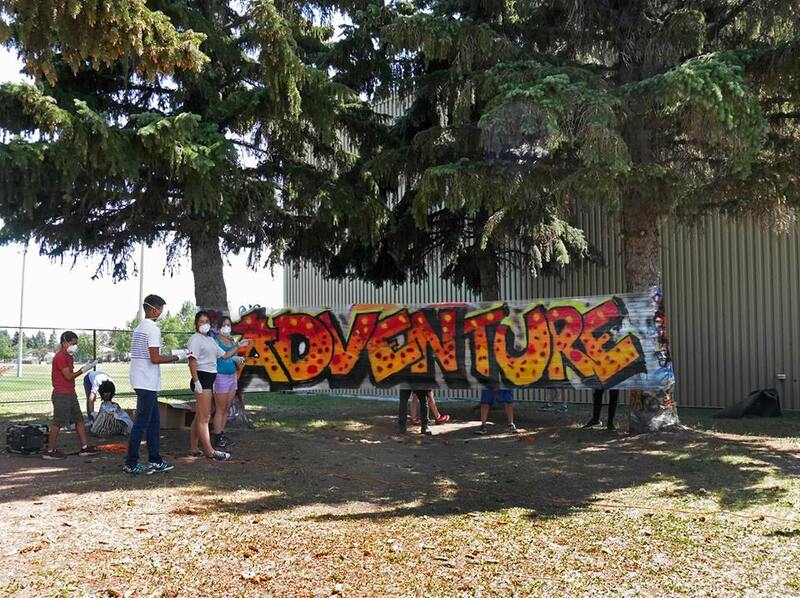 Antyx has been working together with City of Calgary and Calgary Afterschool programs at Bob Bahan Aquatic Centre in Forest Lawn on an urban art project since May of 2018. 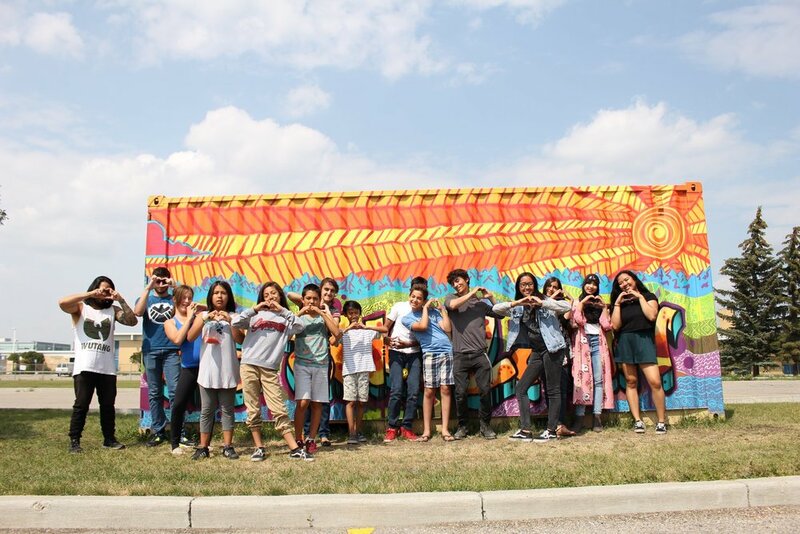 Antyx artists held engagement sessions with youth, community members and other people from both Bob Bahan and Ernest Morrow school to plan the content for a shipping container mural in the middle of the parking lot. With these community members, we talked about issues of community, belonging and inclusion. Some of the key questions were: “What does community mean to you? What does forest Lawn/this space/this area mean to you? And what are you most proud of in Forest Lawn/this area/this space.” Members of the public were encouraged to give their input, suggestions and drawings. Antyx staff then generated some final designs based on this content, which was then voted on by the youth and other members of the public. 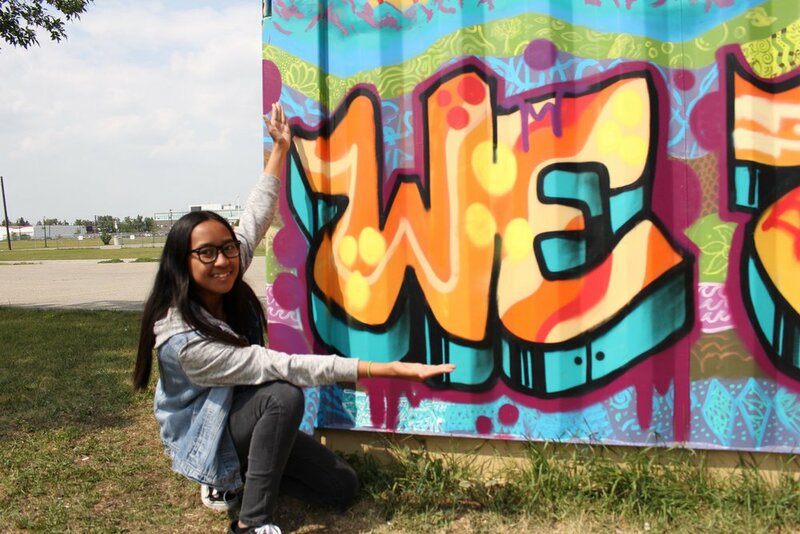 The base of this mural was to show what we are most proud of in this neighbourhood and what means the most to us. 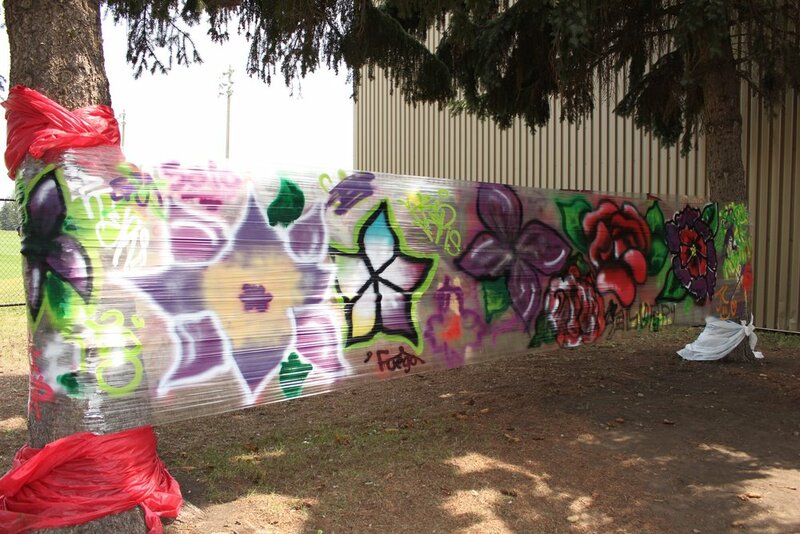 Following these engagement sessions, Antyx hosted a two week urban art graffiti mural camp in July 2018. Youth in this camp learned from Antyx artists as well as local urban artist KerzXXV. 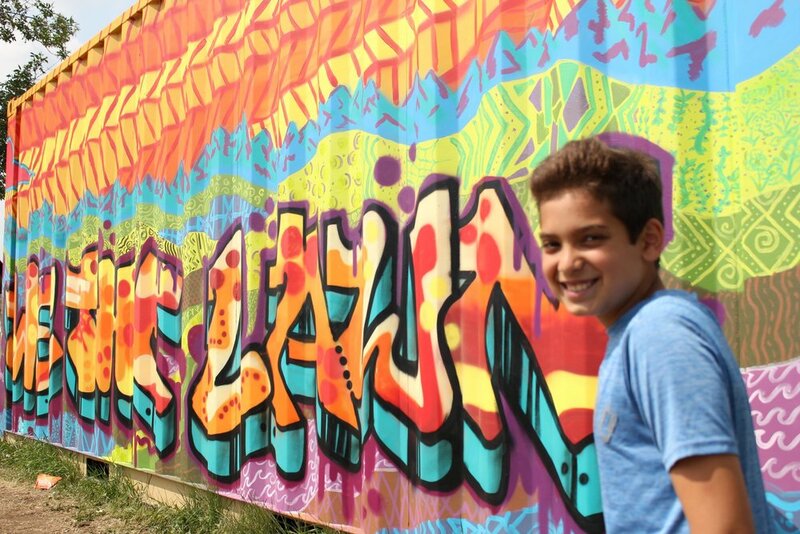 In this camp they learned different graffiti styles, different types of urban art, spray painting and lettering techniques as well as learned the history and culture of urban art in the world. 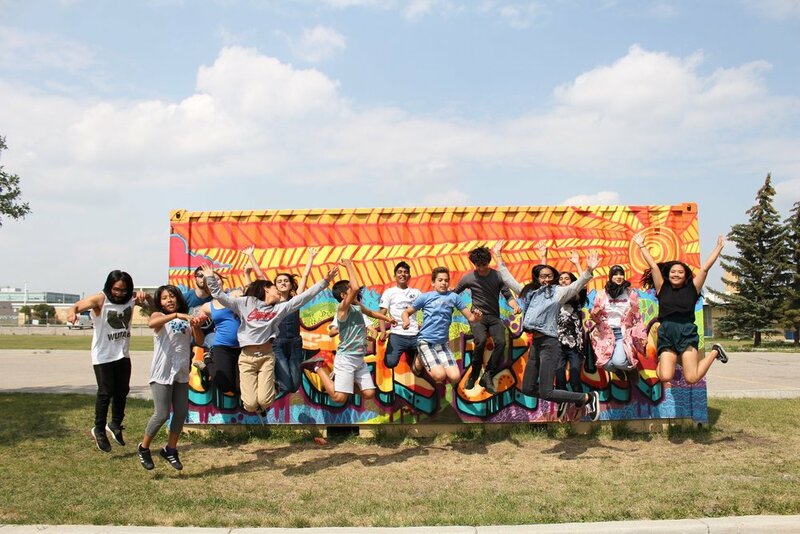 In addition, Youth got to go on a field trip to see the art of other Calgary artists practicing in Calgary. Youth from this camp learned the different styles of Graffiti lettering, how to draw their one letters and then brought these techniques to reality in painting workshops and sessions. 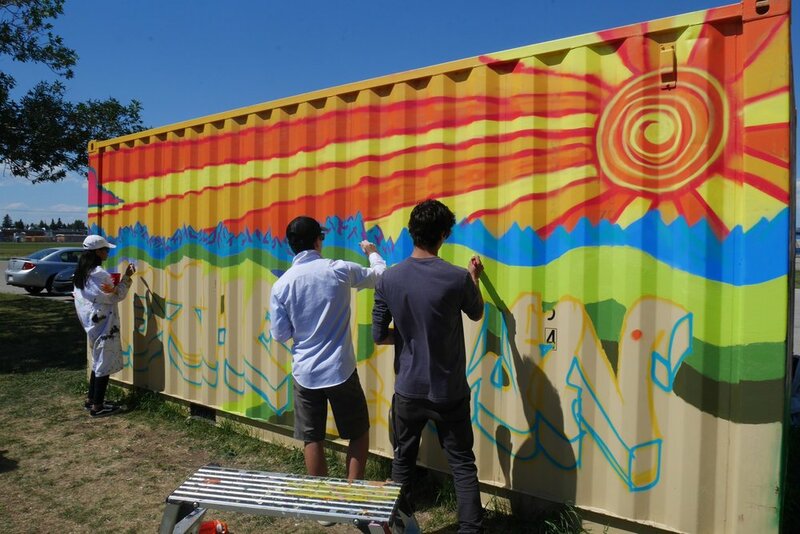 The final piece of the camp was the manifestation of the community mural design on the shipping container, using all the techniques they learned in camp. 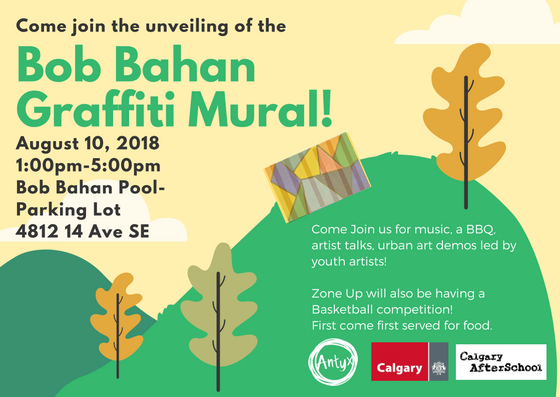 Come check out the opening party on August 10 from 1-5pm at Bob Bahan Aquatic Centre and learn lettering and spray techniques from our youth artists. If you can’t make the opening, the mural is on permanent exhibition at this location to view at any time.